The source of energy of entire world depends on burning of fossil fuels, critical time has been observed when the our fossil fuels seems to extinguish, when the act of burning of fossil fuels is carried out in large amount it had started affecting the environment. Because of these reasons we have searched for the alternative source of generating the energy. The alternative source comprises of earth, wind and water. The world’s attention was shifted from limited available fossil fuel to abundantly available sources. Harnessing the energy with the advent of technology form natural resources with the passage of time has seen some limitations, low production in comparison to the expenditure over the technology. At present we have both source at our hand, each one of them has some challenges, solution lies at developing the old method more proficient and finding out some ways to decrease the wastage and increase the output. It will laid the road towards the new energy economy. Challenge: Geothermal power plant has been developed that makes use of heat of hot water below the earth surface to generate the electricity. With this innovation, scientist was able to yield much large amount of electricity, however it provide only about 16 terawatt-hours a year in the United States, less than half of 1 percent of total electricity consumption. Drilling results in the wells which are hot however, they have no water or wells which are simply not hot enough. New Energy Economy: According to the scientists lack of attention is the mistake. Scientists has revealed that there are 100 to 500 gigawatts of potential geothermal energy that are residing beneath the United States It is required to exploit all these energy, large investment must be done in more detailed geologic mapping, three-dimensional modelling of the underground water flows, and testing of water chemistry that can indicate the temperature of subsurface waters. More surveys of the ancient hot springs that can point to the locations of still-active geothermal systems, would help too. Moreover many of the drilled wells can be regenerated to again serves as the source of geothermal energy. 2) WATER: Utilize waste water too. Challenge: Waste water treatment consume lot of energy, electricity in moving and treating water. Transporting the water eats up so much electricity, generating ways to recycle the water which goes down the drain could cause in large amount of energy savings. This kind of innovation could be seen in Las Vegas. There 100 percent of waste water is reused for carrying out general use. Over the past 20 years, the district has modernized its water reclamation system that now returns 70 billion gallons of treated wastewater annually to Lake Mead, source of 90 percent of Las Vegas’ water. There is a requirement to build the more energy-efficient system. There is a requirement to avoid the pumping of water over long distances and focus should be on the systems which produce water for reuse. There exist lot of energy in the waste water; one gallon of the typical domestic wastewater consists of enough organic compounds and nitrogen in order to power the 100-watt light bulb at least for five minutes. It implies that the next-generation wastewater treatment plants might use the new technologies, involving the microbe-powered fuel cells, in order to capture enough methane, hydrogen, and the other fuels from the wastewater in order to produce all the energy they require. The high-quality water can be reclaimed from wastewater at almost no energy cost. 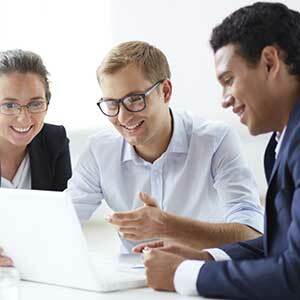 It can be converted from liability to an asset. Challenge: The wind energy is not competent and also not producing the electricity as par with the energy production with the burning of fossil fuels. 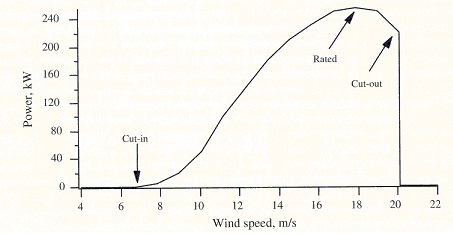 The phenomenon of wind blowing has not been properly evaluated by scientists. The wind behaves in the different manner from 200 to 400 feet up, where the turbines actually operate, in comparison to what it does near the ground. There exist thousands of monitoring stations around the country measuring the wind up to about 30 feet but very few above that. The projections of wind sites seem highly inaccurate due to lack of data especially those that are build on uneven terrains, a small change in the wind has big implications over them. 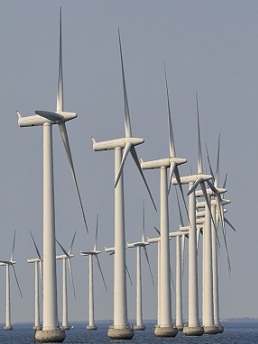 A 10-mile-an-hour wind generally produces 65 kilowatts, however at 15 miles an hour, same turbine generate 300 kilowatts. Complex airflows over the hills and mountains create wind shear and turbulence that produce stress on turbines’ blades, gearboxes, and the bearings. Since turbines are developed without a complete understanding of such wind flows, they are failing at higher than the expected rates. Failure to anticipate sudden gusts is especially problematic, because they can both damage the turbines and lead to sudden transmission line overloads. Thus, there is the need to re-evaluate the old traditional system and generate the efficient system to increase the production satisfying the need of electricity at no cost.